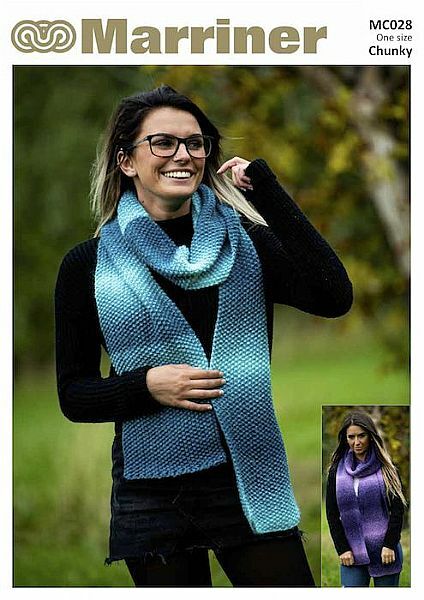 An assortment of warm clothing in a soft chunky knit. 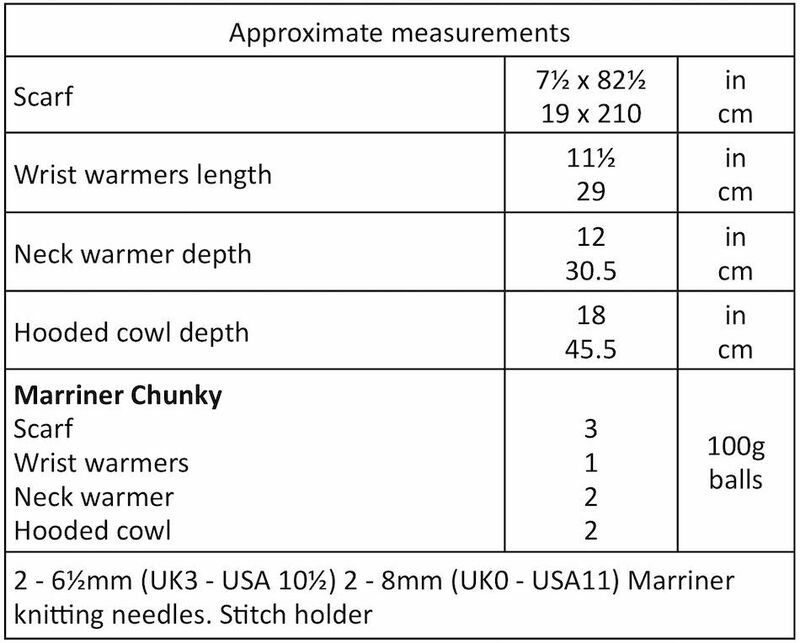 Hooks required 2 - 6½mm (UK3 - US10½) and 2 - 8mm (UK0 - US11) knitting needles. Stitch holder.